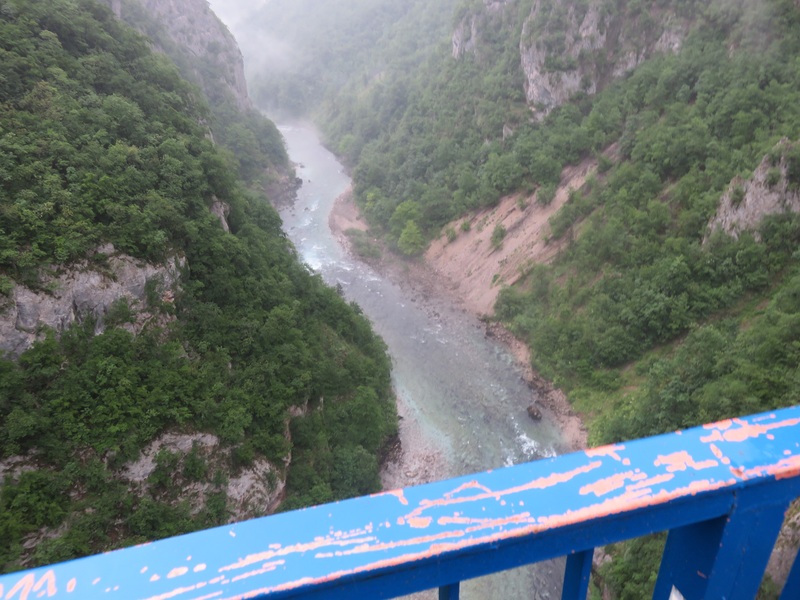 We continued on to Donja Brezna, where Vlad pulled in and we hopped out for a coffee break. The trailer had just limped into town; the tow bar section almost completely sheared through and the tailgate almost on the ground; a near miss for our bags hurtling down 100’s of metres of sheer cliff into the raging torrents. 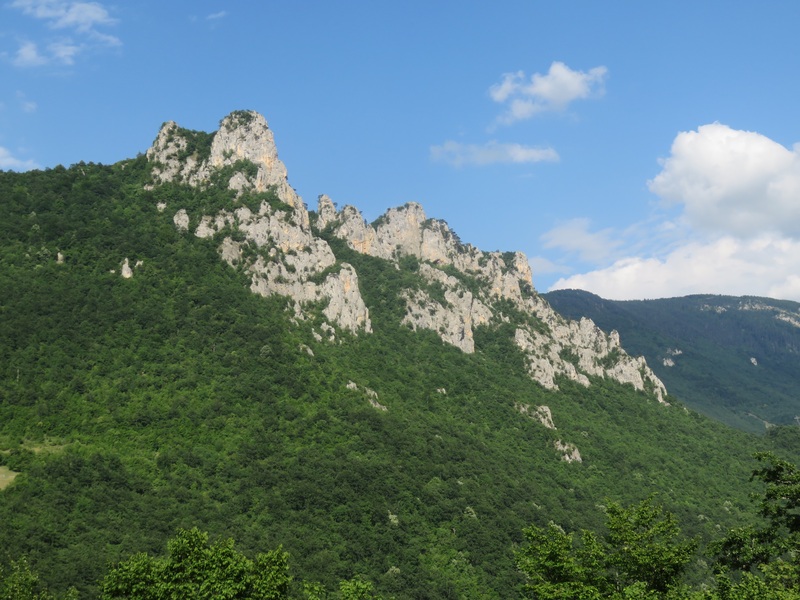 On our way again, bags crammed into the minivan, we again began climbing into the mountains to the Ostrog Monastery. 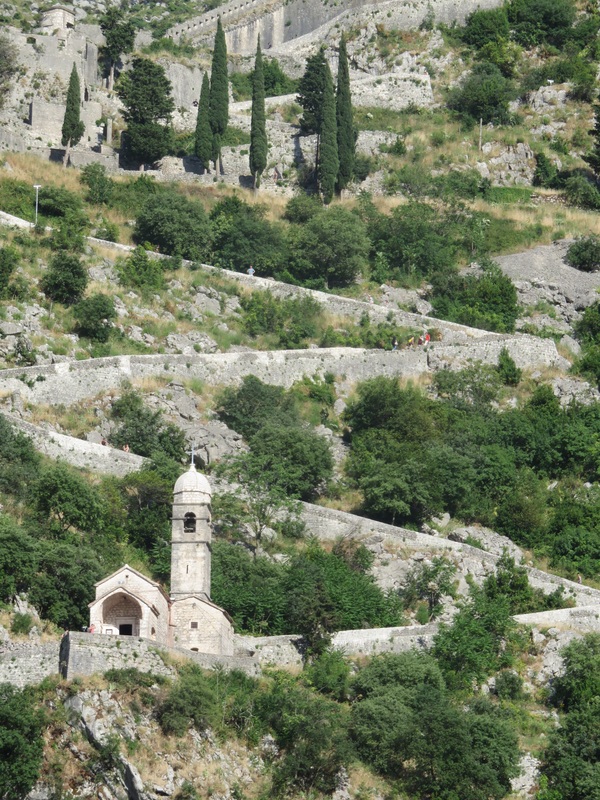 This, the most holy Serbian Orthodox site in Montenegro, is wedged into the cliffs, high above the valley floor. 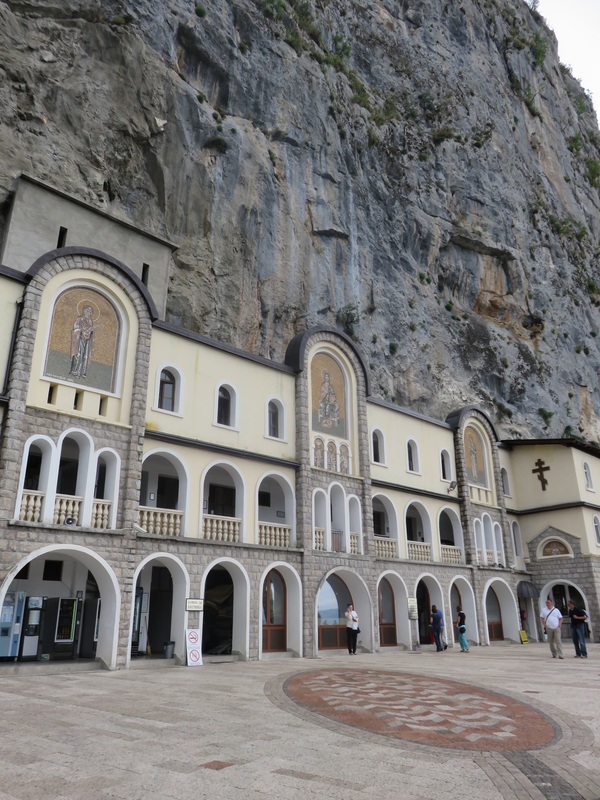 Devout people come to pray to St Basilicum, who lies wrapped in a shroud within the church, which is about 20 metres wide within the cliff face. Childless couples particularly come to pray for children and return in thanks with children in tow. As we approached, a huge black cloud rolled in over the mountains and lashed us with wind and rain as we huddled against the rock face. 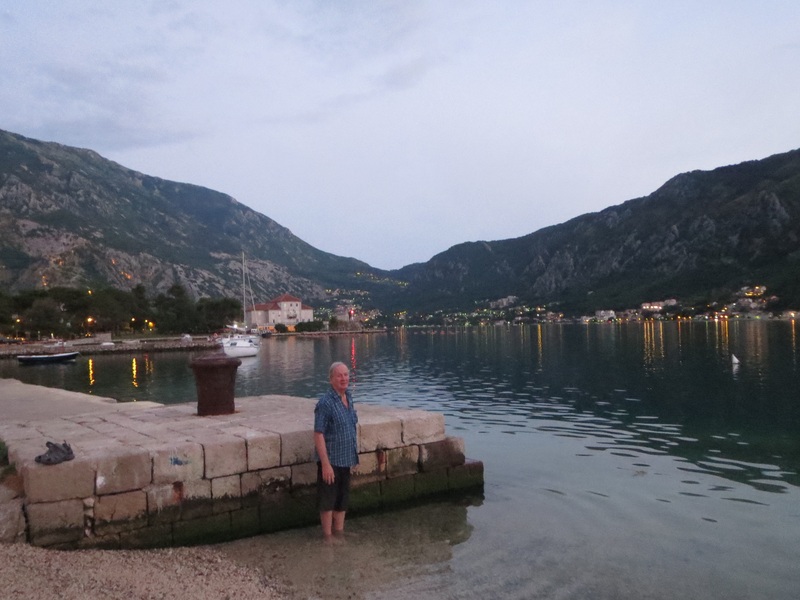 Our final destination was the ancient Venetian town of Kotor, which along with the Gulf of Kotor is a UNESCO world heritage site. 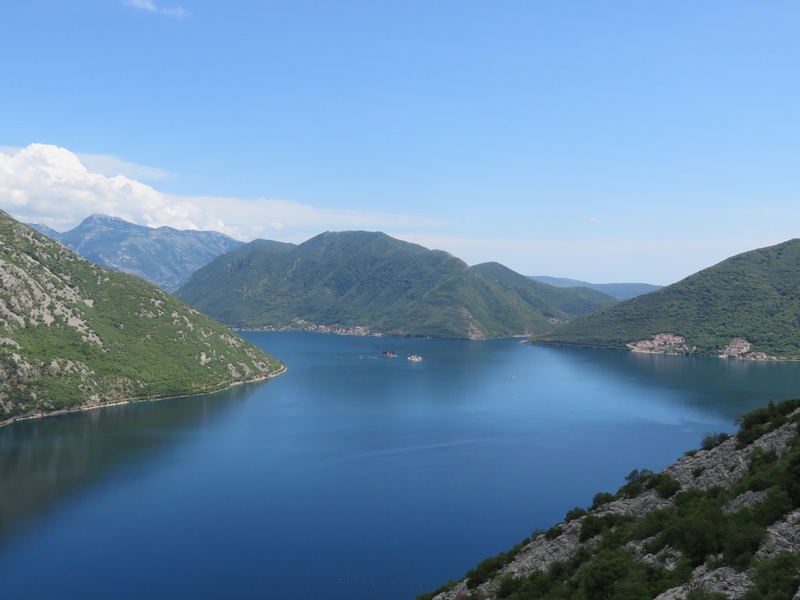 The storm clouds had disappeared and as we breached the top of the mountains leading into Kotor, our breaths were taken away with the view. At last the coast and the sea! and the most spectacularly blue water lay below us. Ringed by the limestone cliffs so prevalent in Montenegro, the old town of Kotor has a history of settlement since Roman times but the flavour is Italian, due to years of Venetian influence. Oleanders, palms, fig trees, stone sea walls and the mellow yellow sun instantly invited us to loll about in the crystal clear water. 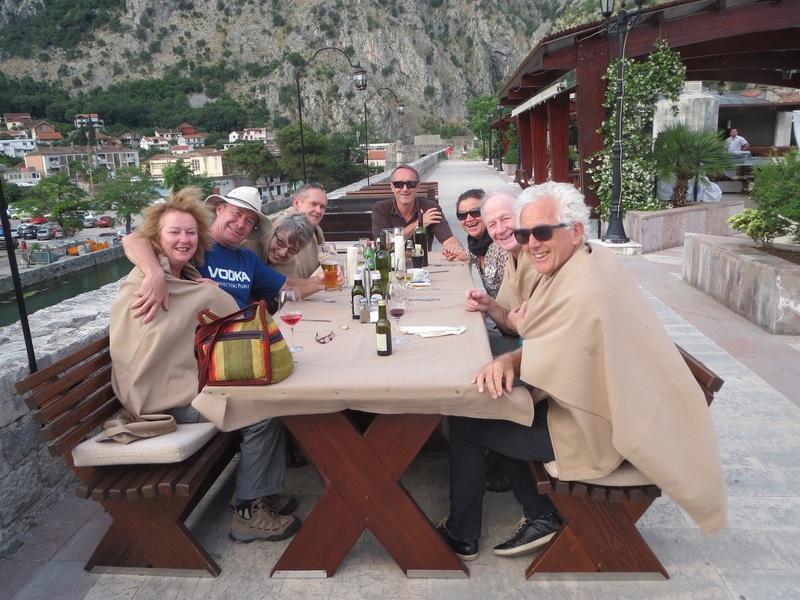 Slobodan, our city guide in Kotor took us for an afternoon boat cruise around the bay, where we could observe the longest city wall in Europe, protecting the old town and land on the artificial island, ‘Our Lady of the Rocks’. 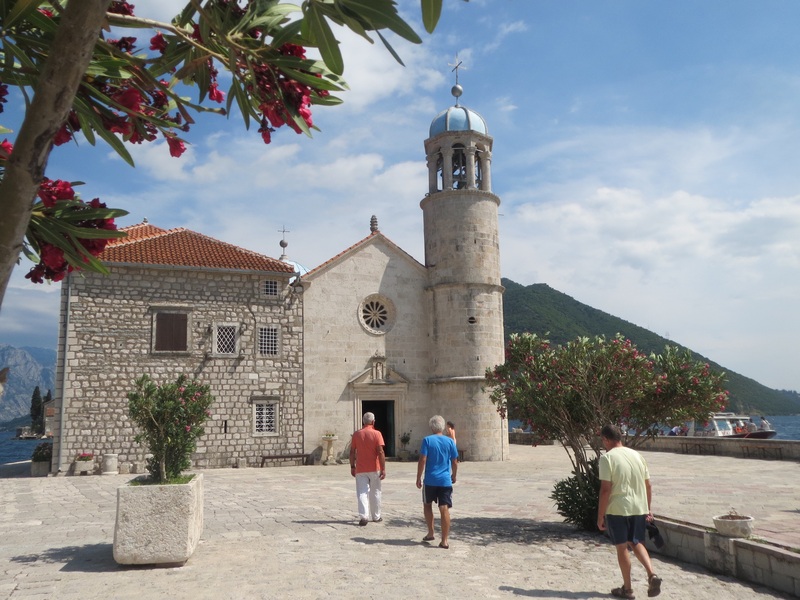 This island was established in 1452, when it is said that some sailors found a painting of the Virgin Mary on a rock and thus painstakingly built up the artificial island with rocks and submerged ships. The amazingly well preserved painting is in the Roman Catholic church above the altar along with silver discs brought by sailors, who successfully returned home after sea voyages. 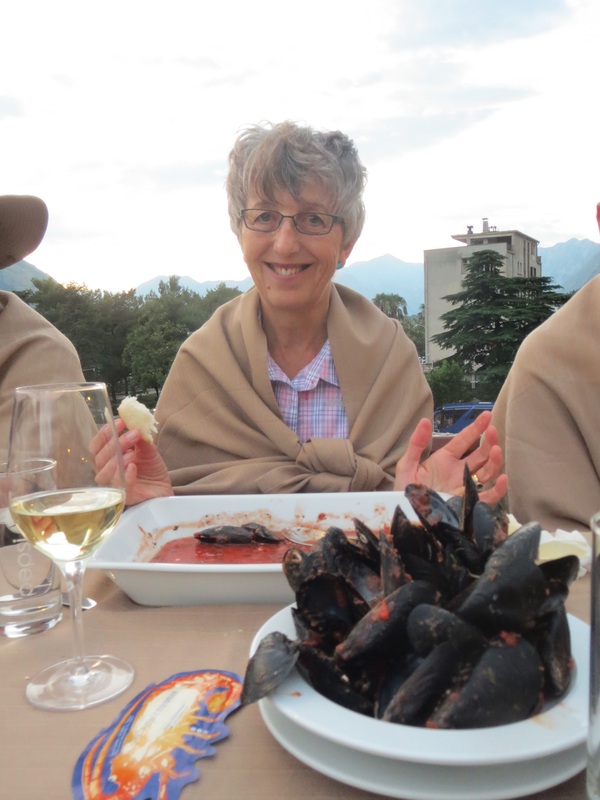 Our final night of our Intrepid tour was spent in a rooftop restaurant where we indulged in the local mussels, squid and sea bass, as the sun set into the sea and the lights of the old town illuminated the city wall behind us. Bon voyage, fellow travellers!